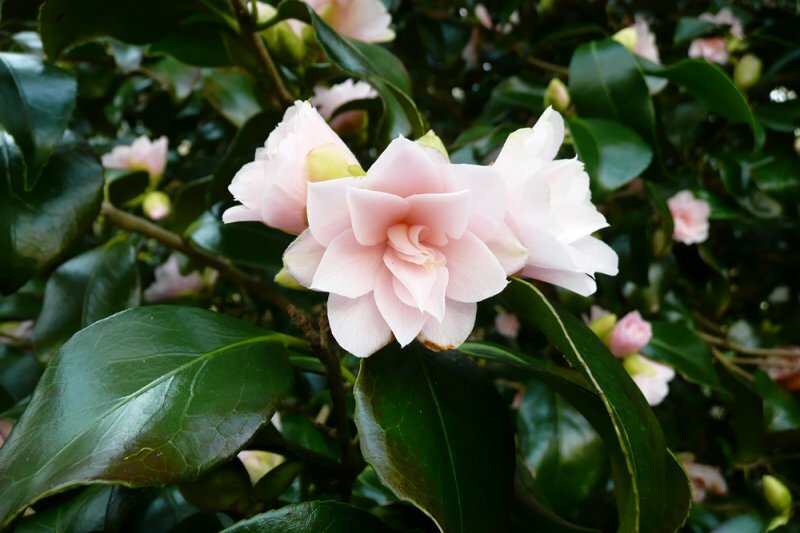 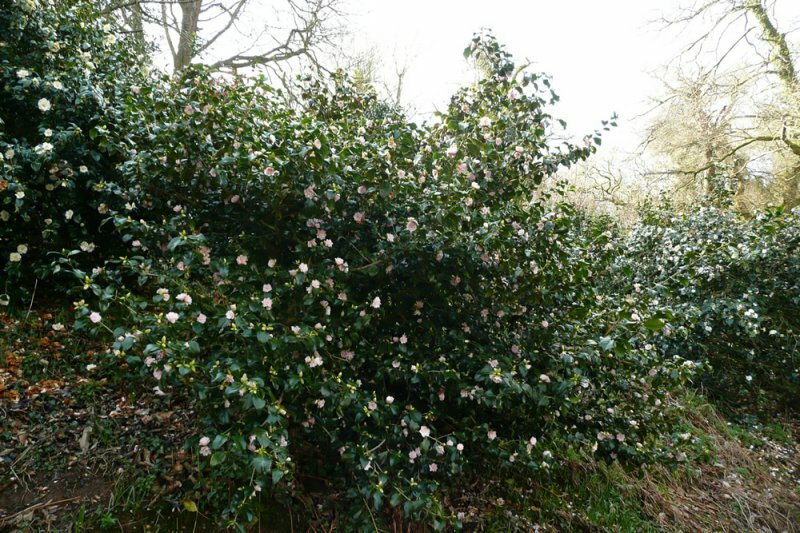 Camellia 'Fleur Dipater', Camellia 'Peach Blossom', Camellia 'Fleur de Pêche', English Magnoliaeflora, Magnoliaeflora and Magnoliaflora. 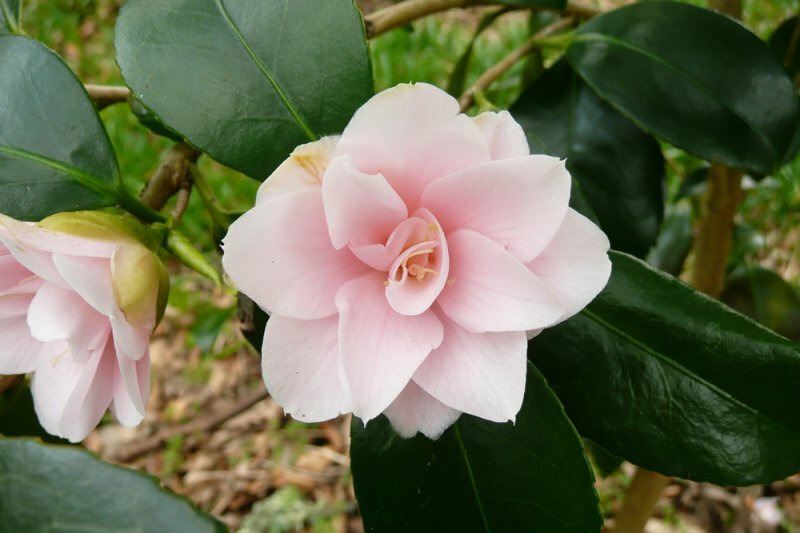 Compact shrub which will spread and become more open with age. 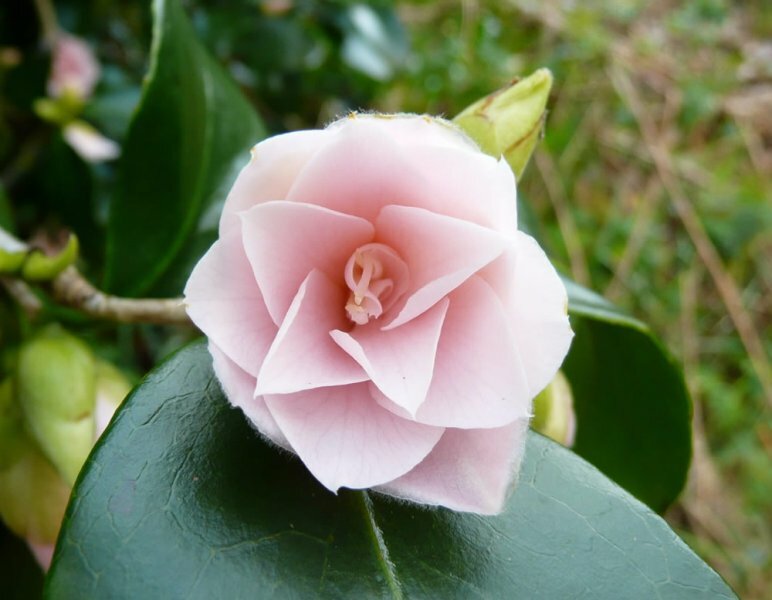 The semi-double flowers, which have a slight notch in them at the tips, are a delicate, baby pink with deeper pink centres. 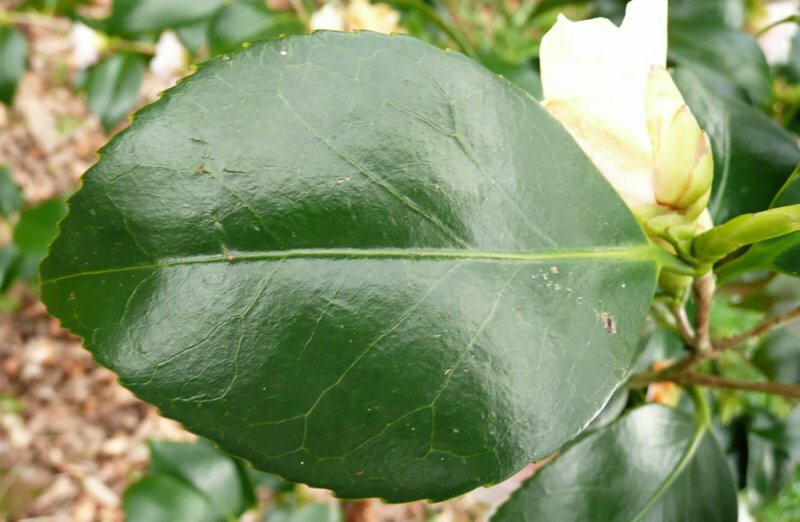 The evergreen leaves are glossy and dark green.